Watch multiple shows in multiple rooms all at one time! A DVR is included at no extra cost with most plans. Enjoy a crystal clear picture along with our exclusive Total Home DVR. Order Online and get $50 in reward cards with U-verse TV All Included + Internet! One DVR is all you need to enjoy your recorded programs on any TV in your home equipped with a U-verse receiver. *Offers subject to change. Restrictions may apply. Call for details. New AT&T U-verse TV customers ordering U450 will get the larger capacity DVR. With purchase of other plans or existing customer upgrades, larger capacity DVRs are subject to availability and additional fees. New approved residential DIRECTV customers only (equipment lease req’d). Credit card req’d. Pro-rated ETF fee (up to $480) and Equipment Non-Return fees apply. Programming, pricing, and offers are subject to change and may vary in certain markets. Some offers may not be available though all channels and in select areas. To access DIRECTV HD programming, HD equipment along with Advanced Receiver Service is required. Number of HD channels varies based on package selection. 4K Genie Mini and Genie HD DVR required for a compatible 4K TV. A DIRECTV 4K Ready TV must be connected to an Internet-connected Genie HD DVR. Functionality varies by compatible device and location. Channels available for live streaming correspond to your package selection and may vary by location and device. Not available on all channels. Additional charges may apply. In-home live-streaming feature requires home-based Wi-Fi connection and Internet-connected HD DVR. Out-of-home viewing requires high-speed Internet connection. All functions and programming subject to change at any time. Visit directv.com/everywhere for a list of compatible devices (sold separately) and complete details. Data charges may apply. ^AT&T U-verse High Speed Internet: Residential customers only. Prices and offers subject to change without notice. Internet speed claim(s) represent maximum downstream capabilities. Speeds may vary and are not guaranteed. Many factors can affect actual speeds, including the use of other U-verse services. Credit and other restrictions apply. Service and speeds are not available in all areas. U-verse price includes 250GB of data per month. For more information, go to http://www.att.com/internet-usage. A monthly High Speed Internet equipment fee may apply. A one-time equipment charge of $100 may apply for Internet Gateway. Wireless networking may require adapter, purchased separately. Geographic and service restrictions apply to AT&T U-verse services. Call or go to att.com/u-verse to see if you qualify. BUNDLE OFFER REQUIRES 12-MONTH TV AND INTERNET AGREEMENTS. ADDITIONAL FEES APPLY. Offer ends July 13, 2016. New approved residential customers only. Pro-rated Early Termination Fee (up to $180 for TV; up to $180 for Internet) and Equipment Non-Return fees apply. BUNDLE PRICE Includes U-family TV ($50 per month) and U-verse® High Speed Internet 6.0Mbps ($30 per month) and monthly fees for HD service, Wi-Fi Gateway and HD Total Home DVR + up to 3 additional receivers. Must maintain all bundled services for 24 months to receive advertised pricing. After 24 months, then-prevailing monthly rate, currently ($95 for TV; and $52 for Internet), applies unless customer calls to cancel /change services prior to the end of 24 months. Pricing excludes taxes, a $49 activation fee any additional equipment fees and other charges including a federal regulatory video cost recovery charge, city video cost recovery fees and a Broadcast TV surcharge. Credit restrictions apply. Pricing, programming, features subject to change at any time without notice. U-verse Internet price includes 250GB of data per month. Additional $10 charge per 50GB of data usage in excess of data plan. For more information, go to att.com/internet-usage. Internet speed claims represent maximum network service capability speeds. Actual customer speeds may vary and are not guaranteed. Actual speeds vary based on factors including site traffic, content provider server capacity, internal network management factors, device capabilities, and use of other U-verse services. Maximum speeds may not be realized if two or more HD shows are viewed at same time. For more information, go to att.com/speed101. 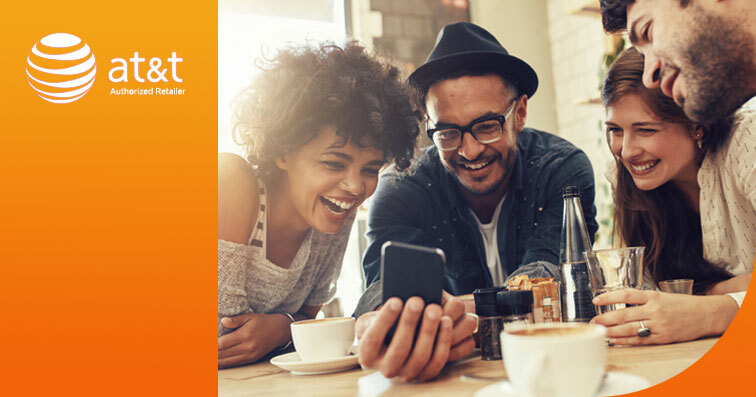 Buy Now $50 Reward Card with purchase of any speed of U-verse Internet online at att.com by July 13, 2016. Redemption required. Reward Card delivered within 3–4 weeks after completion of your 30-day service requirement. Card expires at month-end 3 months after issuance. No cash access. For cardholder agreement, go to rewardcenter.att.com/myreward/agreementFSV.pdf. Reward Card issued by U.S. Bank National Association, pursuant to license from Visa U.S.A. Inc.
©2016 AT&T Intellectual Property. All rights reserved. AT&T, the AT&T logo, and all other AT&T marks contained herein are trademarks of AT&T Intellectual Property and/or AT&T affiliated companies. Subsidiaries and affiliates of AT&T Inc. provide products and services under the AT&T brand. All other trademarks are the property of their respective owners. New U-verse customers only. Other conditions apply to all offers. Offers may be modified or discontinued at any time without notice and may not be combined with other promotional offers on the same services. AT&T employees or retirees may not be eligible. Advertised services and speed options not available in all areas. All prices and specials subject to change. Enter your address for the most accurate pricing in your area. Fiber Optics: Fiber optics may apply to all or part of the network depending on your location.